I find it very infuriating when keyboard warriors make flippant comments regarding mental illness. At the least its insulting and condescending but at worst it could be life destroying. Its very easy for people to hurl abuse behind the safety of a screen and forget that the person you're insulting is a human being with feelings. You might think its funny to make throw away derogatory comments about mental health but for those who are affected by mental illness it is extremely crushing. For so many sufferers of mental illness getting out of bed is an achievement, so being told that their problems could be solved by going for a walk is extremely ignorant. You would never tell someone with cancer or with a visible physical illness that they are 'overreacting' or 'attention seeking.' you would treat it with the respect and empathy it rightly deserves. So why treat mental illness differently? 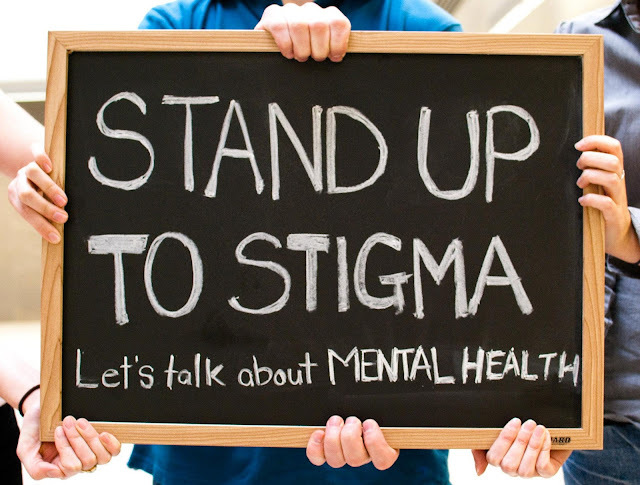 There is so much stigma in our society regarding mental health which makes it very difficult for people to talk about their feelings. This needs to change. September 10th is World Suicide Prevention Day. A day that opens the door for conversation; a much needed conversation. Suicide is an extremely taboo subject which can make people very uncomfortable, but its there and its happening and those at risk and the families affected by suicide need support and need to be listened to. According to Samaritans there were 6,581 suicides in the UK and Republic of Ireland, in 2014 and the female suicide rate in England is at its highest since 2005. Heartbreaking facts, but also completely baffling that in 2016 so many are still affected by suicide or suicidal thoughts. Suicide is shrouded in stigma, even more so for men. There is a huge societal pressure on men to be strong and there has become a clear gender stereotype that a man can't show emotion without being deemed weak and 'feminine,' but men are are at risk too. The suicide rate for men is now three and a half times that of women, and that's because men are too scared or uncomfortable to speak out at the fear of being ridiculed. The conversation regarding Mental Health and Suicide can never stop, it is only when it becomes a conversation that people can feel brave enough to have that things will change. If you suffer from mental illness or suicidal thoughts please remember that you are not alone. As scary as it is to talk about it, the benefits of it are so worth it. Whilst some days can be incredibly hard, all days end and there is so much potential in the next. Don't give up! If you are worried about someone then please reach out to them and offer them support, kindness and understanding.